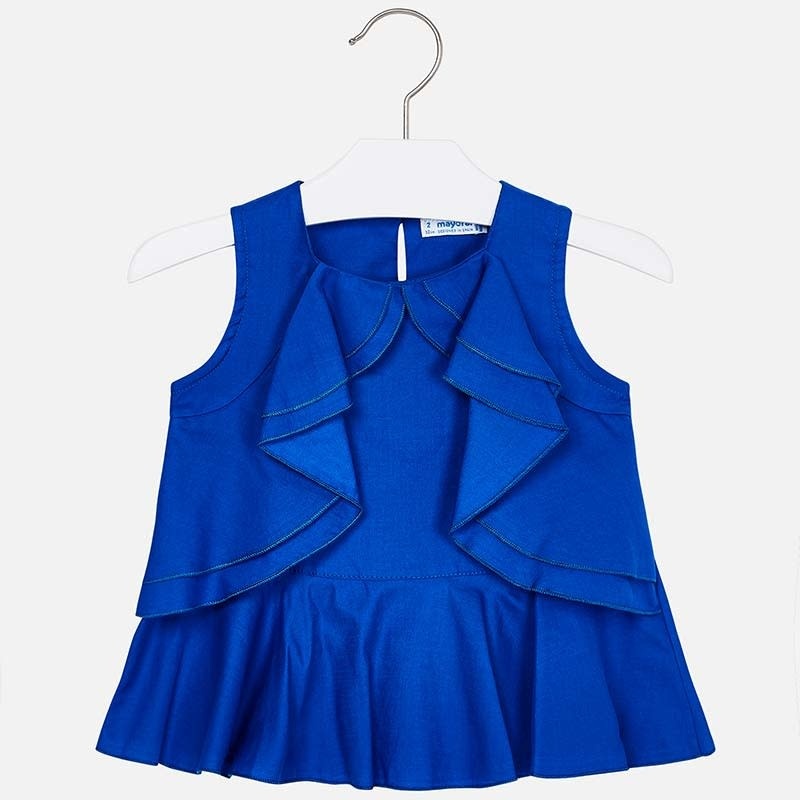 Sleeveless blouse for girl. Round neckline. Small opening on the back with a button fastening to allow the garment to be put on easily. Made from 100% cotton fabric. Ruffled design. Plain design.